We turned off our flashlights to let our eyes adjust to the dim interior of the sacred cairn, one of the most powerful I’ve visited. Looking up we saw dozens of small white glowing orbs – it was as if the roof was filled with stars. At the moment I realized what they were I heard Annalu’s exclamation. Spiders! Each orb an egg sack. Each orb guarded by a mother spider. It took everything she had to stay in that cairn even for a short time. Annalu was terrified of spiders. It was a terror that had no origin in her life that she could remember. And it is a terror that lives in her brothers, son, and niece. They are watching to see if it will manifest in the next generation. Chances are good. Recent scientific research is finding there is an ancestral memory that we hold in our DNA. A memory, a knowing, that goes back generations and can carry forward for generations. 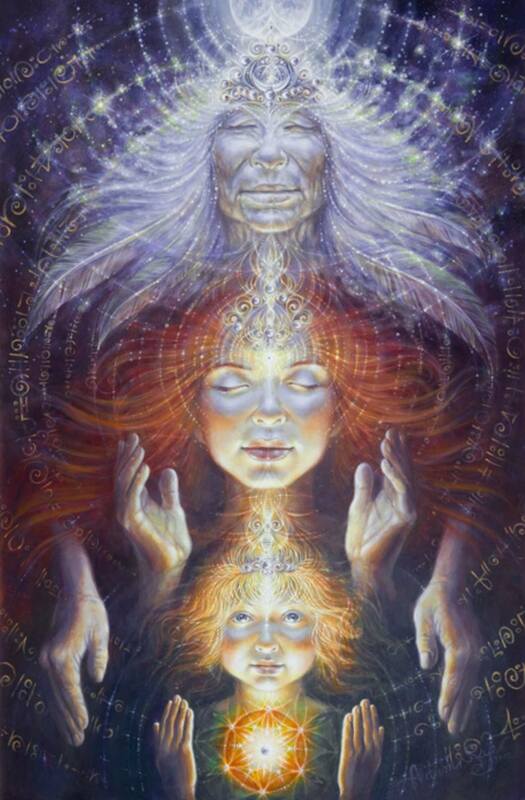 One strand in our web of ancestral connection. There are others.